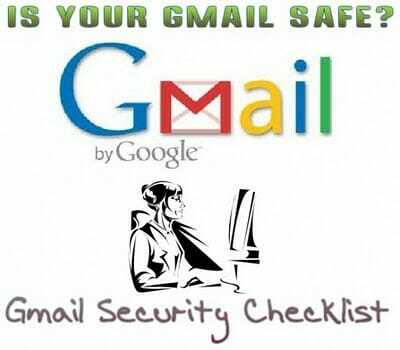 Have You Done GMail Security Checklist? To know that your account is being hacked is the worst nightmare ever. Especially when you have a confidential information such as finance information in that account. Most of the internet account need email for communication. And even Google mail have the best security (in my humble opinion), could be compromised if you are not careful. Amit Agarwal from labnol got his GMail hacked once and he managed to recover it back after some time. Actually Google Mail has the security checklist in their GMail help and support page. But i wonder if anyone of you have read and apply it. If you haven’t i suggest that you visit Gmail Security Checklist and start it now. Using 2-steps verification for your Google Account is indeed increase security. I am very recommended you to activate it. It will make the attacker should think twice harder to break in to your account. An unique and fairly strong password is also highly recommended as well. Also you need to be careful when opening your Google account from third party application, such as from mobile phone chat application. Always use the application from the trusted publishers and trusted source. I did read some report that malware found in Android and Blackberry applications. Keep safe and secure while you are browsing to the internet from anywhere.